If only, if only, if only I could wear strapless and look cute! I just got a notice from Ruelala that they have an Associate Sample Sale happening. 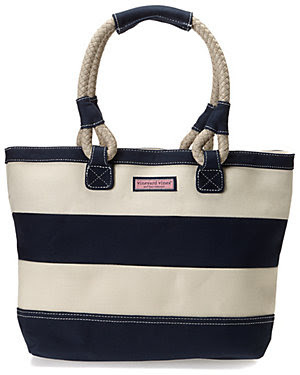 I have no idea what that means but I peeked quickly and there are lots of cute Vineyard Vines tote bags and Lilly Pulitzer dresses. There are also several nice white dresses. If you are or hope to be a sorority girl, you will need a good white dress in your closet. And those can be difficult to find in the fall and winter when you realize you need them. Be sure to find a cute one this summer so you are prepared! 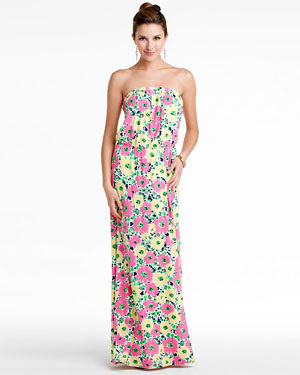 They have this Lilly in white, too! Be sure to enter to win a monogrammed shirt and anchor bracelet on A Preppy State of Mind!